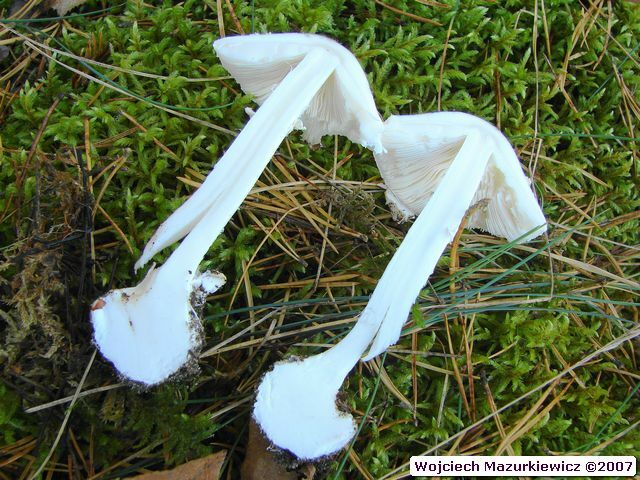 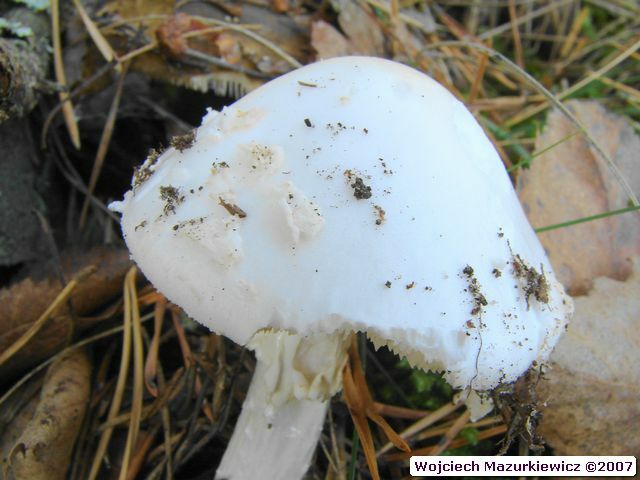 Albinotic form of muchomor cytrynowy (Amanita citrina), all characters (despite white colour) as in muchomor cytrynowy (Amanita citrina). 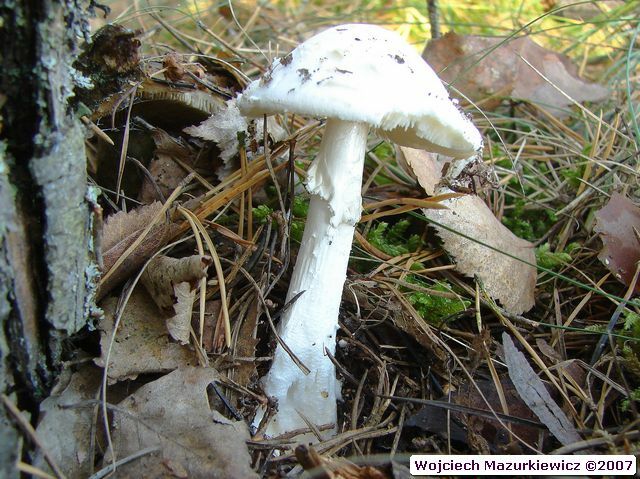 Znane mi stanowisko w mszystym lesie (uprawie) sosnowym. 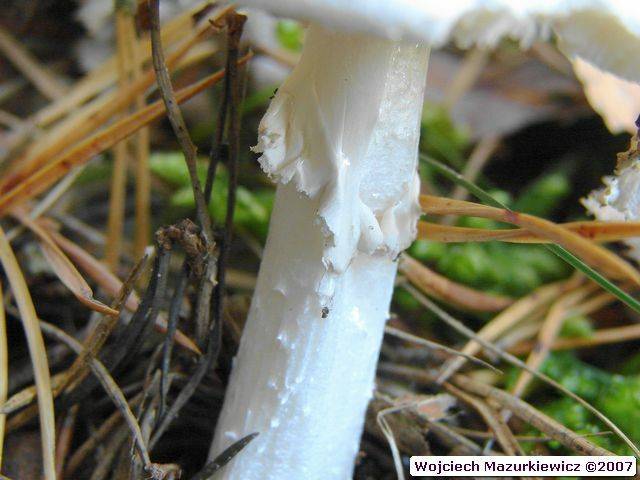 Known to me locality in mossy, pine culture.